Market volatility and increased competitor activity have once again driven Sims Metal to downgrade expectations. Most brokers, while disappointed, still favour the longer-term outlook. Difficult market conditions have persisted for scrap merchant Sims Metal Management ((SGM)), and a further downgrade to earnings expectations has been provided for the first half. Operating earnings (EBIT) of around $110m are now expected, -12% below the prior corresponding half. The downgrade was driven by higher purchase prices for completed scrap sales, stemming from market volatility, and increased competitor activity at certain sites. European metals earnings have been sharply lower, as scrap purchase prices did not reflect a fall in the Turkish deep sea market, and there is a requirement for higher quality scrap that has led to lower collection volumes. The company's first half result due on February 20 is expected to provide greater clarity on the issues and more visibility around the second half. Brokers are disappointed, particularly in the light of the earlier downgrade and management comments at the AGM. Conditions are expected to eventually improve but it appears likely the impact will persist beyond the first half. Several brokers still appreciate the longer-term dynamics, while Morgan Stanley asserts there is opportunity for investors that are prepared to look through the current conditions. The broker adjusts forecasts, with the net result being a downgrade of -22.0% and -13.6% to FY19 and FY20 estimates respectively. The complex market affects the clarity on earnings, Macquarie points out, although, in general, margins were observed to be pressured across all operations, some affected by competitive activity and others influenced by macro conditions. Credit Suisse was most surprised by the strength in North American operations, where earnings have been sustained despite the challenges in the market. Also, the other surprise the broker points to is the collapse of the already-weak UK operations, amid sequential volume declines and low Zorba (mixed metal) prices. The broker suspects the company has been wrong-footed by developments and was slow to roll out the Zorba to Twitch strategy (conversion to higher metal content) globally. Macquarie flags the fact the company has made changes to its segment reporting, which hampers comparisons, and a reallocation of internal charges complicates matters further. Europe was notably weaker than Macquarie expected, as Turkish domestic conditions were exacerbated by competitive dynamics. The broker, nonetheless, does expect investment in scrap quality will eventually be seen to be justified. 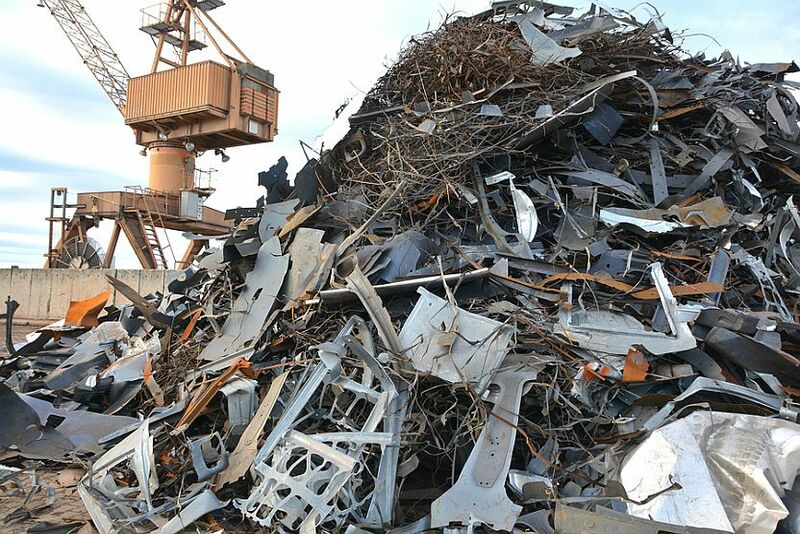 UBS is not so optimistic, and remains cautious on the outlook for the scrap market because of increasing disruption. Municipal recycling was weak, suffering from an unfavourable contract at a time when waste paper values have plummeted. Poor margins in Europe reflect under-investment and increased competition, in the broker's view. UBS downgrades to Sell from Neutral, believing the outlook for non-ferrous scrap is not likely to improve any time soon. There is also downside risk to non-ferrous pricing, as China starts its next round of bans on imported scrap. While details on this are limited, it appears that eight more categories have been moved into the restricted category. UBS suspects this could result in quotas or approvals being applied to category 6, or furnace-ready scrap, such as Zorba and Twitch.